I've been learning Substance Designer for a short while. The thing which I noticed is that all those impressive materials we see on ArtStation are based on SD's height system, which uses tessellation and translates it into grayscale height maps. 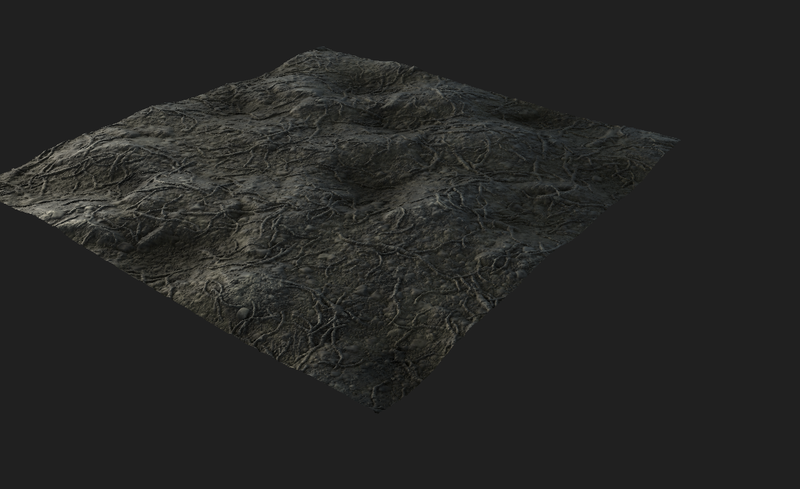 So, the question is how can I use height maps exported from SD in order to achieve the same "depth" effect in Blender? I understand that Blender refers to this effect as displacement. However, displacement modifier produces new geometry, attaching height maps to displacement node does not work, blending height and normals in one map in SD does not help either. Is this even possible? UPD. Below is a render from SD which shows the material on a plane. The plane is clearly displaced in accordance with the height map. Now in Blender, I managed to produce the same result only by using the Displace modifier and by Displacement node together with experimental Cycles options and adaptive subsurf modifier. Blend file is attached. May be these are the only viable options. Grateful if someone could confirm. After further research it appears that the only reasonable way to make height maps work in Blender is as set out below. The displacement support is still experimental in the latest 2.8 builds. Hope the development team will procure full support in the stable release of 2.8. I'm not sure how all this affects vertex count and render time. Hope this will be helpful to someone. plug in your height map into Displacement Node. Not the answer you're looking for? Browse other questions tagged shaders displacement height-map or ask your own question. How to achieve discontinuous displacement or height map? How to create alpha / height maps in Blender for use in e. g. Substance Painter? Game modelling how to get height details?